Recognized as a key spice in the flavor in Chai, cardamom continues to emerge in food and beverage products. With cuisine versatility and a rich flavor and aroma, cardamom could de-throne ginger as the next go-to functional spice. Cardamom’s flavor profile has similarities with the very popular ginger, but without the sharpness. It transcends above most spices because of its universal flavor and diversity, allowing for its use as a foundation in an array of cuisines from India to Finland. Its subtle yet distinguishable profile complements anything from meats, curries, and sauces, to sweet goods, teas and coffee. Digestion aid. This spice can be used much the same way as ginger is used to counteract digestive problems. Use it to combat nausea, acidity, bloating, gas, heartburn, loss of appetite, constipation, and much more. Detoxifier. Cardamom helps the body eliminate waste through the kidneys. Bad bread freshener. Halitosis can be corrected by chewing cardamom after meals or whenever it’s time to freshen the breath. Diuretic. Part of the reason cardamom is such a good detoxifier is thanks to the diuretic properties. It helps clean out the urinary tract, bladder, and kidneys, removing waste, salt, excess water, toxins, and combating infections, too. Oral Health protector. Apart from helping with bad breath, cardamom is used for mouth ulcers and infections of the mouth and throat. Cold and Flu preventer. This pungent spice has been shown to help prevent and relieve cold and flu symptoms. It’s also used for bronchitis and coughs. Cancer fighter. There’s lots of research showing that cardamom protects against, inhibits growth, and even kills some cancers. Blood Pressure helper. As a diuretic and fiber rich spice, cardamom significantly lowers blood pressure. Blood Clot preventer. Cardamom prevents dangerous blood clots by preventing platelet aggregation and the sticking to the artery walls. Antioxidant booster. Many of the vitamins, phytonutrients, and essential oils in cardamom act as antioxidants, cleaning up free radicals and resisting cellular aging. Pathogen growth inhibitor. The volatile essential oils in cardamom inhibit the growth of viruses, bacteria, fungus, and mold. Anti-inflammatory. Like ginger and turmeric, its relatives, cardamom has some anti-inflammatory properties that limit pain and swelling, especially in mucus membranes, the mouth, and throat. Hiccups reliever. 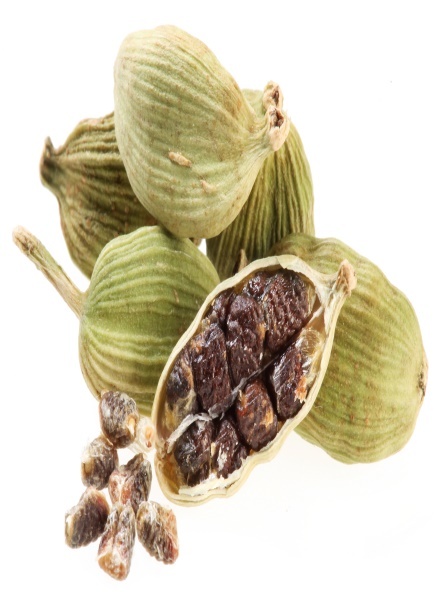 Cardamom is an anti-spasmodic that helps get rid of hiccups. This also applies to other involuntary muscle spasms, like stomach and intestinal cramps. Depression reliever. The science behind the antidepressant qualities of cardamom hasn’t been studied yet, but Ayurvedic medicine swears by the tea as a means to fight depression. The bottom line: It’s worth a try, considering all the other health benefits associated with it. 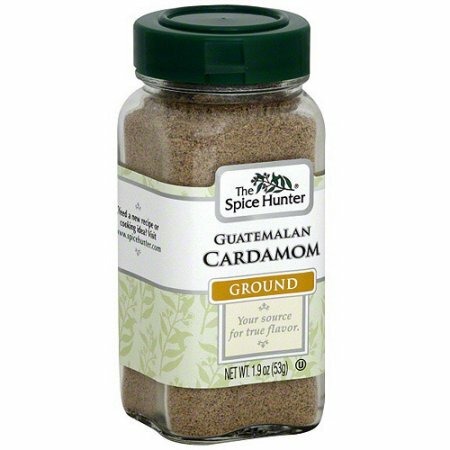 (www.spiceologist.com), for some tested recipes using cardamom. These folks gather recipes from food sites all over the Internet, test them, then the ones that pass muster they pass along. I’ll close with her recipe and hope you join me this year in putting this health-oriented spice to work in our 2017 diets. Preheat oven to 250º and line two baking sheets with parchment paper. In a large bowl, mix all dry ingredients together (everything but the coconut oil and the maple syrup), stirring or whisking until they all well-combined. Add the maple syrup and melted coconut oil and stir again. 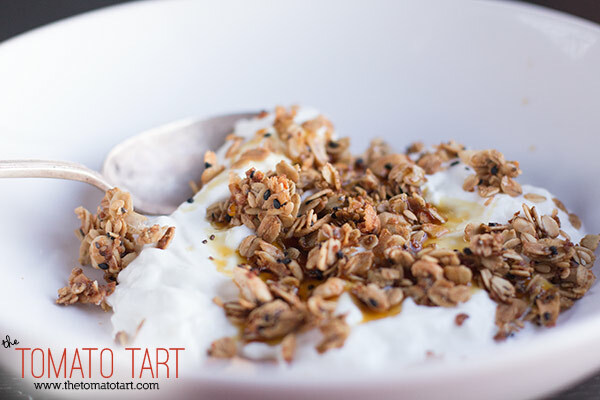 Spread the granola out over the two baking sheets, and cook for an hour and fifteen minutes switching the position of the baking sheets half way through. Cool completely before storing, but feel free to sneak a bite or two after about ten minutes.